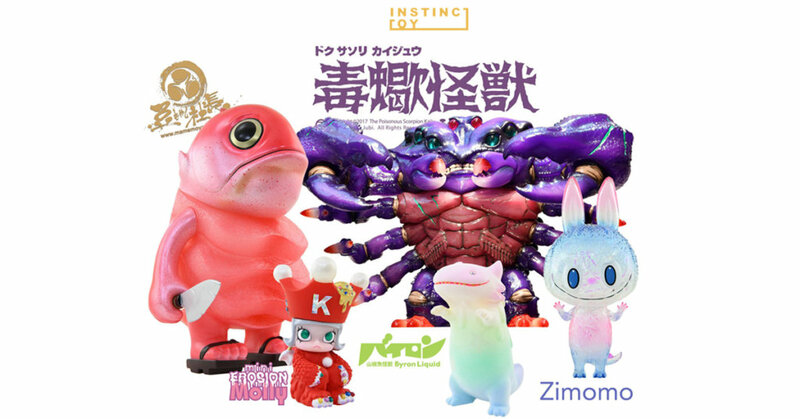 Hows about a chance to cop Giant Maguro-Sanpai “Red Fish,mini Erosion Molly “Christmas version, Byron INSTINCTOY exclusive, ZIMOMO “KA” INSTINCTOY exclusive, Poisonous Scorpion Kaiju 2nd colour Antares, Poisonous Scorpion Kaiju Blank fluorescent green edition, Vincent Blown Away, Halloween inc Blown Away and inc Crystal Storm? INSTINCTOY are offerning up a chance to enter the lotto so you can add them to your collection and also giving the middle finger to resellers, HA. You have until 13th Feb (Wednesday) 2019 23:59h Japan Time to enter. The website doesn’t work for international collectors. There is something wrong and Instinctoy doesn’t anwere on questions about this. A lot of people have problems with this.